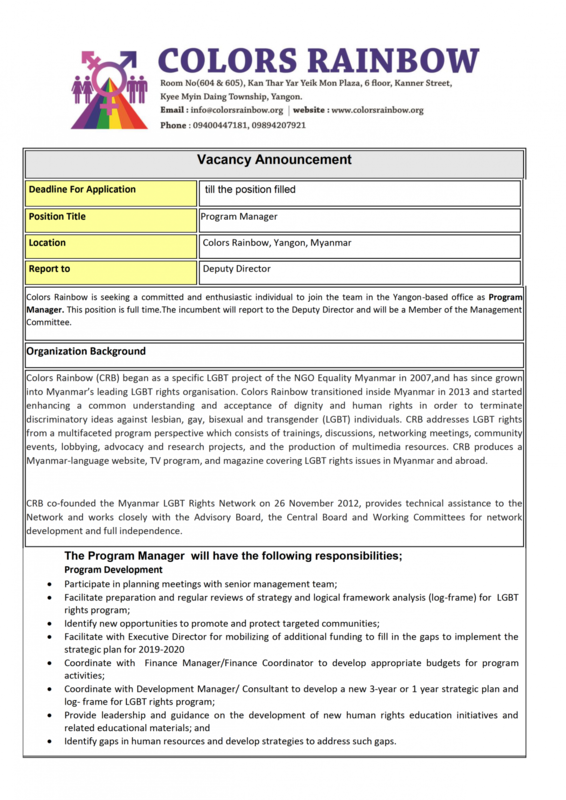 CRB advocates for the rights of LGBT people in Myanmar. We promote understanding and acceptance of LGBT people and engage with various stakeholders to protect their rights. In order to foster positive attitudes towards LGBT people, we collaborate with other LGBT groups around the country to organize art exhibitions, film festivals and public events, including on the International Day Against Homophobia, Transphobia and Biphobia, the Transgender Day of Rememberance and the International Day for the Elimination of Violence Against Women. We research and document the situation that LGBT people face in Myanmar. 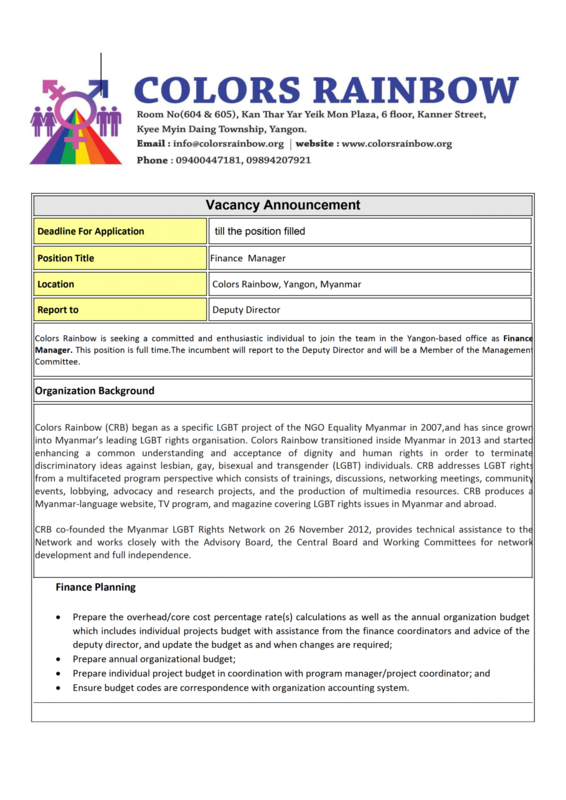 So far, we have produced reports on discrimination and human rights abuses against LGBT individuals in the Myanmar legal system and specifically under Section 377 of the Penal Code, as well as in the workplace. We use this reasearch to engage with various government, legal, private sector, NGO and media stakeholders to increase understanding of SOGIE and to advocate for changes to laws, systems, policies and practices for the fair and equal treatment of all LGBT people. 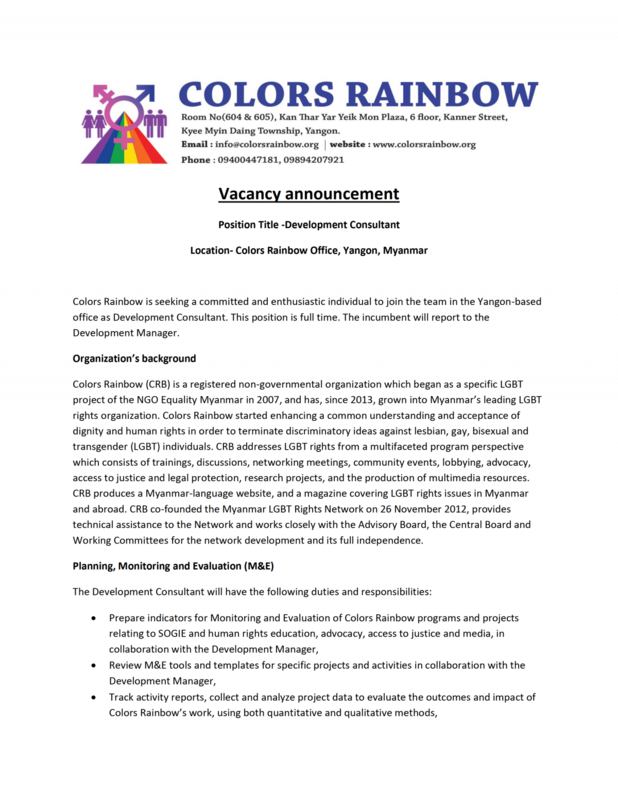 CRB seeks to build the capacity of LGBT Rights Network member organizations and LGBT organizations outside of Yangon to be involved in this advocacy. Through the LGBT Rights Network, we coordinate joint advocacy activities. 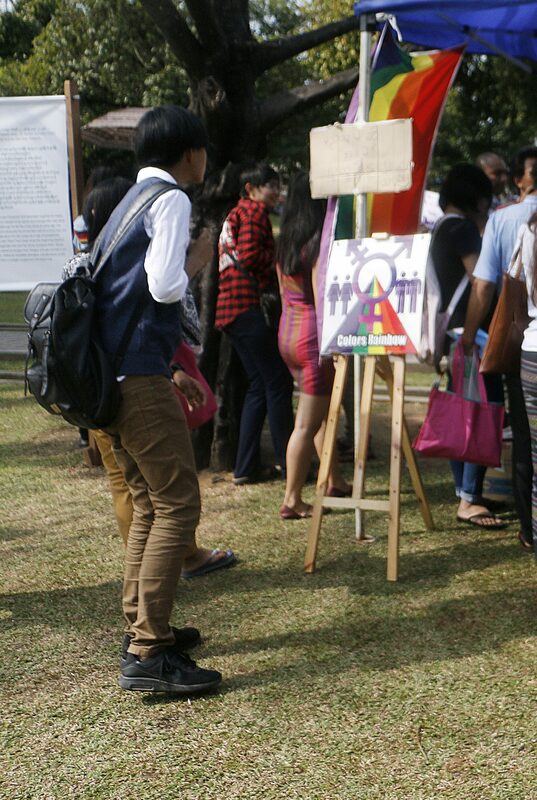 We also participate in regional and international LGBT coalitions, forums and conferences, such as the ASEAN SOGIE Caucus and International Lesbian Gay Association (ILGA), to build solidarity and connections with LGBT organizations outside of Myanmar.